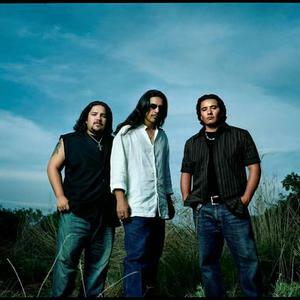 Los Lonely Boys is an American Chicano rock power trio from San Angelo, Texas. The band formed in 1996 and plays a style of music they call "Texican Rock n' Roll," combining elements of rock and roll, Texas blues, brown-eyed soul, country, and Tejano. The band consists of three brothers: Henry Garza (guitar, vocals), JoJo Garza (bass, vocals), and Ringo Garza (drums, vocals). The three brothers emerged as a group in Nashville in the 1990s. The three brothers emerged as a group in Nashville in the 1990s. After moving back to their home state of Texas they recorded their debut album in 2003. In 2005 their song "Heaven" won a Grammy Award for Best Pop Performance by a Duo or Group with Vocal. In 2005, the group recorded "I Don't Wanna Lose Your Love" with Carlos Santana for the Santana album "All That I Am". Their album "Rockpango" was released in 2011.